Kaspersky Lab has started to officially process data in Switzerland alongside opening its first Transparency Centre in Zurich during the first phase of its US$12 million investment in regaining trust. For now, the data centre, which is hosted by Interxion Data Centre, will host the data of European users in a first phase investment valued at US$3 million. Specifically, this data refers to malicious and suspicious files shared by Kaspersky Lab users including previously unknown malicious files and corresponding meta-data that the company’s products send to Kaspersky Security Network (KSN) for automated malware analysis. 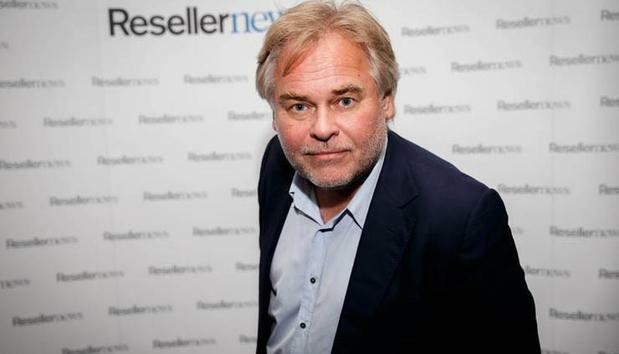 During the Kaspersky Transparency Summit, which took place in Zurich, Switzerland, the company's founder and CEO Eugene Kaspersky said the move was not a direct result of US sanctions on its products, with the vendor already deciding on such transparency actions prior to the announcement. "We were thinking about some kind of transparency centre before [the US ban]," Kaspersky confirmed. "It stimulated us and this is proof that we don't have anything to hide. "The source code review for example happened before, so in the past we had someone from the US, European countries and Latin American regions and they were welcomed. We had the doors opened and they came to us." The move comes six months after the cyber security vendor announced plans to move data from Russia. Delving deeper, the plan is to move customer data storage and processing for most regions, as well as software assembly, including threat detection updates. The vendor said it is the first to move in this direction and it hopes others will follow. "When we first started this initiative, one year ago, we were forced to speed up," said Anton Shingarev, vice president of public affairs at Kaspersky Lab. "But now I personally realised that maybe it was good that we started one year ago because it means that we are one or two years ahead of our competitors." Shingarev said that it is hard to predict the move from other vendors, even having spoken to some, but pretty soon they will follow Kaspersky Lab's initiative. Read more: Is Facebook about to buy a cyber security firm? Following bans imposed over the Russia-headquartered vendor from the US government last year, this marks the company's move to regain trust from customers and partners. "I don't know if our approach is completely right," Shingarev said. "It may be wrong in some details but I believe the direction is right. And together we have to find a way." Shingarev also explained that the transparency initiative was developed in conjunction with European regulators including National Cyber Security Centre (NCSC) in the UK. Shingarev said they were key partners and Kaspersky's initiative was developed following feedback received from NCSC. The next phase will see data from other regions also being moved to Zurich within the next 12 months.